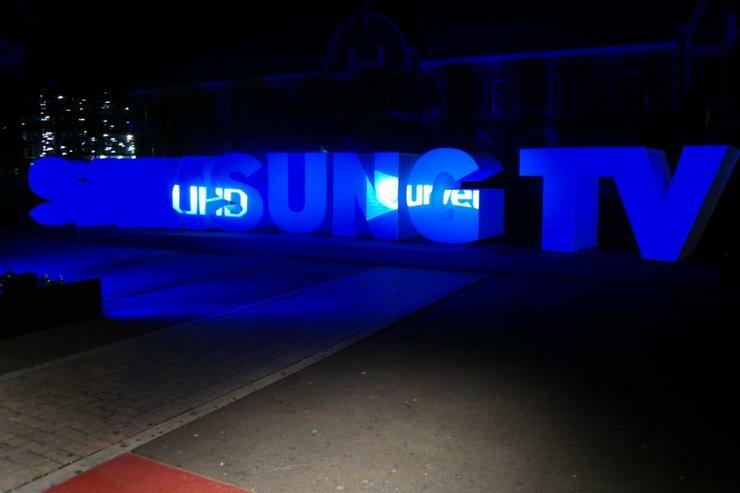 Samsung Australia showcased its 2014 range of televisions at a launch event held at Sydney's Hordern Pavilion. Samsung's 2014 range of televisions will have larger screens that don a curve and support the next generation of Ultra high-definition content. These televisions will be upgradable through the use of an evolution kit and communicate with new wireless and modular speakers. Samsung Australia vice president Phil Newton said Samsung is placing a greater focus on curved screen televisions at the launch of its 2014 television range. Samsung’s 2014 range now features five curved screen televisions. The introductory model spans 55in, supports Full HD and costs $3799. 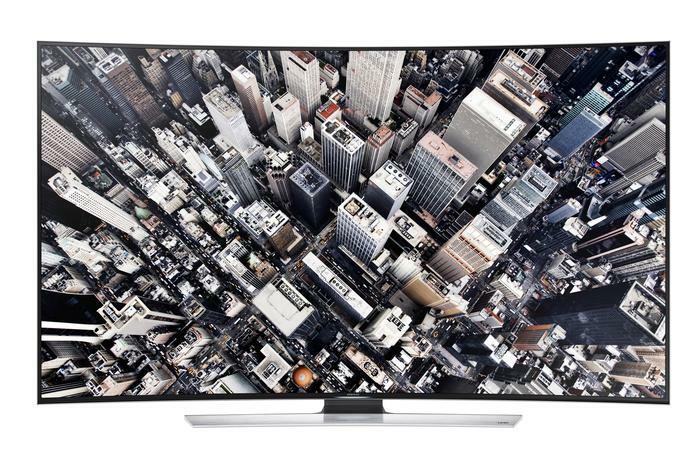 Samsung’s flagship television, the HU9000, is even bigger this year at 78-inches. Not only does it have a curved LED panel, but it also supports UHD content. UHD televisions quadruple the number of pixels of a Full HD screen for picture quality that is far superior. “We're matching curved design with UHD tech,” Newton said. “In 2006 when Full HD was first released and Blu-ray hit our shores, there were only 9 titles. Two years later there were 2000 titles and revenues jumped from zero to $26 million. “There are very clear correlations with the progress of UHD today,” he added. The new HU9000 uses a quad-core processor for enhanced multitasking. The 78-inch screen can be divided into four separate sections — displaying content that includes a TV show, an internet screen or social networks — with each displayed in Full HD resolution. Samsung’s evolution kit, a supplementary box used to update the hardware and software of televisions, is receiving a significant upgrade with the company’s new One Connect Box. All of the cables that typically plug into the back of your television now plug into it, and then just one cable connects the evolution kit to the television. The One Connect Box already supports Samsung’s 2013 range of Ultra HD televisions. 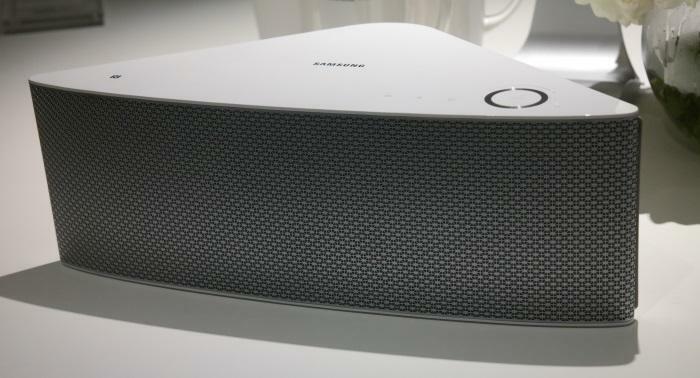 Headlining Samsung’s new range of audio gear are two modular speakers called the M5 and M7. These speakers can be used alone or paired wirelessly to form an integrated home sound system. Two M7 speakers can be used in the same room to form a 2 channel set-up, while five of them paired with a compatible Samsung TV to create a 5 channel system. These speakers join Samsung’s existing range of audio gear, which include a soundbar and a 7.1 channel surround sound system. Samsung’s 78in UH9000 television will go on sale in June for $16,999. Smaller 65in and 55in versions of the television go on sale today (30 April) at Samsung Experience stores for a far cheaper $6999 and $4999 respectively.